I'm so excited to be coming back to St. Loius - and this time I get the chance to deliver a jam packed Full Day Pre-Con on my favourite topic in the world - How you can become your clients Spending Coach. 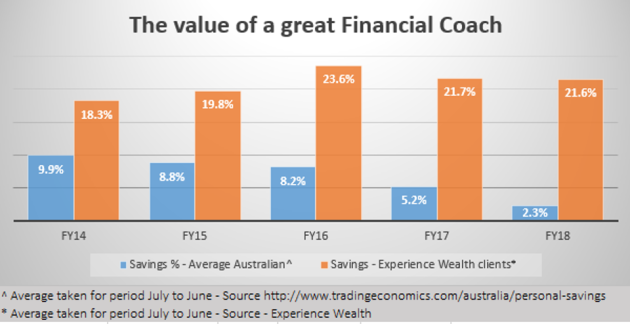 So based on the success of our own experience with our own clients, I created the Your Spending Coach program in 2013, that has now been completed by over 500 Financial Advisers across Australia and in the USA. The program, and this Workshop, is for any Financial Advisor looking to build a Personal Spending & Savings Program (PSSP) for their clients – designed to help them tap into the huge growth area of "Spending/Financial/Cashflow Coaching" - especially in the Gen X & Y markets. The new content relates to both the Budgeting & Banking & Reporting sides of your PSSP, but also we'll get into practical steps in using some of the Technology that, in my opinion, is leading the way in the PSSP in the USA - namely Right Capital, eMoney, MoneyGuidePro and Tiller. The workshop is designed to provide you, the “Coach” with a step by step guide to become your clients “Spending Coach”. In doing so you will help your clients understand how they spend their money and know what a balanced budget looks like for them, identify ways to create a banking solution that supports their spending and savings objectives and stay accountable to their spending and savings goals each week and month. Lunch will be provided, and you'll also get a workbook with loads of activities that you can complete back in the office (if you don't get them all finished at XYPN). PLUS all attendees will be given a chance to purchase BOTH the Aussie & US versions of the Online Course (2 for 1 pack) with a Discount off the RRP (an email will follow your registration with the Coupon Discount Code and Link). XYPN Members will get a 50% Discount and Non Members will get a 25% Discount. I can't wait to see you there - and this year I promise to bring a whole box of Tim Tams (don't ask... but we might have been about 150 short last year... I didn't think that many people would turn up!!). If you've got any questions about the workshop content and if it's worth your investment then feel free to email me at steve@theadvicemovement.com and I'll answer them as best I can. The Advice Movement and Chris Hemsworth's best mate... seriously... not really but you believed me for a second there! You Bewdy Mate - Grab your Ticket Now!